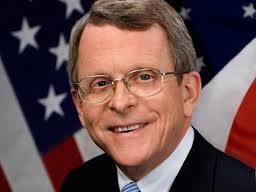 ELYRIA, Ohio (Legal Newsline) - Ohio Attorney General Mike DeWine announced lawsuits on Thursday against two Northeast Ohio home improvement contractors who allegedly failed to deliver and performed shoddy work. Mark Walker, doing business as All American Restoration LLC, and Wayne Given, doing business as Basement Waterproofing Solutions, allegedly violated Ohio's Consumer Sales Practices Act by failing to deliver and performing substandard work. "When consumers pay thousands of dollars for home improvement services they never receive as promised, there's a problem," DeWine said. "We are committed to enforcing Ohio's consumer protection laws and holding violators accountable." Walker and the Avon Lake-based All American Restoration offered major home improvement services, such as roofing projects and room additions. Consumers alleged the business failed to deliver the agreed upon services. In 28 complaints, the consumers alleged losses of $135,000 in total. Given and the Silver Lake-based Basement Waterproofing Solutions offered basement waterproofing services. Consumers alleged the business did shoddy work or failed to deliver. According to the complaints, three consumers alleged losses of $12,900. In both lawsuits, DeWine is seeking injunctions to stop the businesses from further violations and restitution for consumers. The lawsuits also seek the payment of civil penalties and other costs.